Exotic, Earthy, Unmistakable...Pure East Indian Dark Patchouli votive candle. 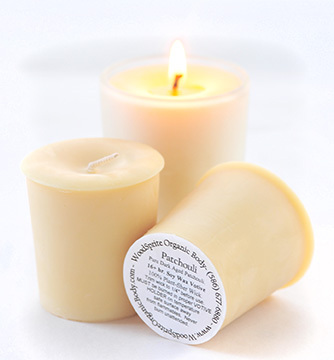 100% Pure Patchouli Essential Oil with 100% Plant-Fiber, Unbleached Wick. 16+ Hour Burn.